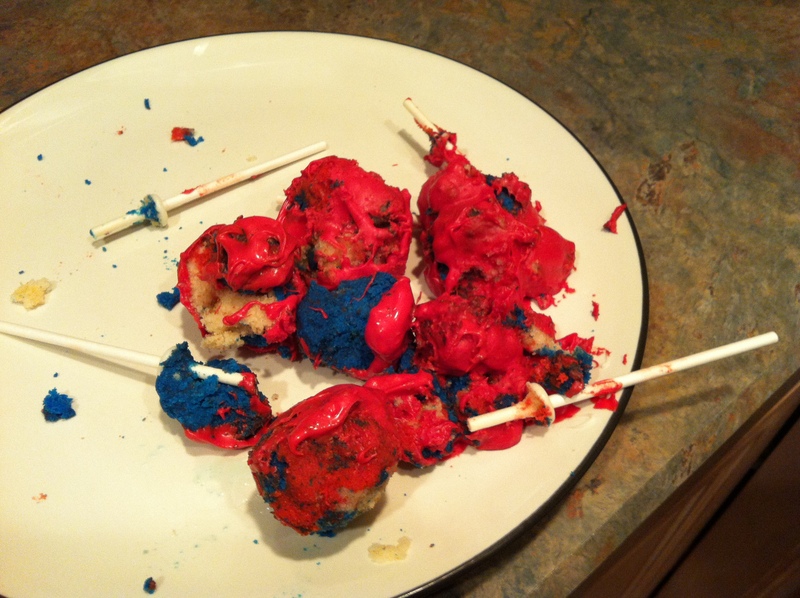 Cake Pop….Failure?!?! I Think Not! 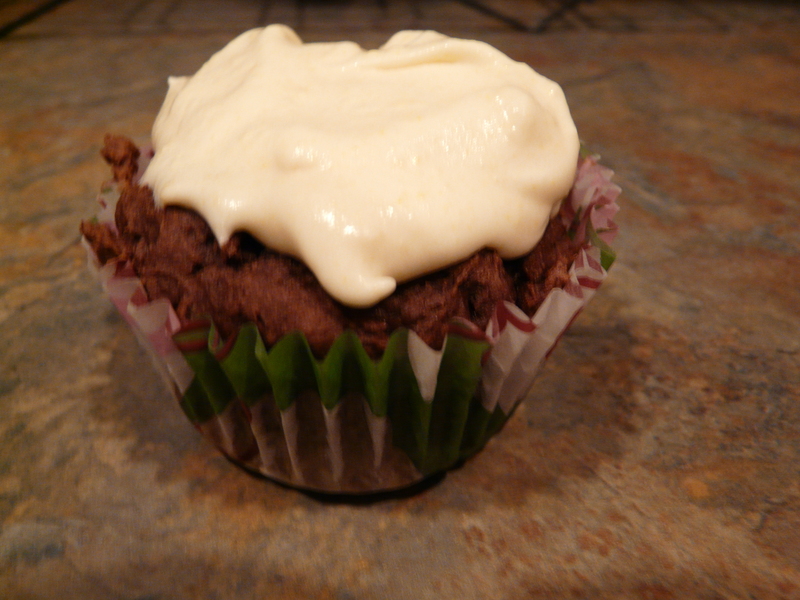 Not to toot my own horn…but I can bake! My baked goods are pretty awesome. There is only one problem….they rarely look “pretty”. I don’t know why but no matter how much I practice, or how careful and meticulous I am when I’m decorating…they just don’t turn out like the baked goods I see a lot of others make. To me taste is more important anyway, but when you are serving your food to people who are not your family the first thing they are looking at is the “prettiness”. I mean, if you have two trays of cupcakes and one looks beautiful and the other one looks like a 4 year old slapped some icing on top…which one do you think people are going to try? 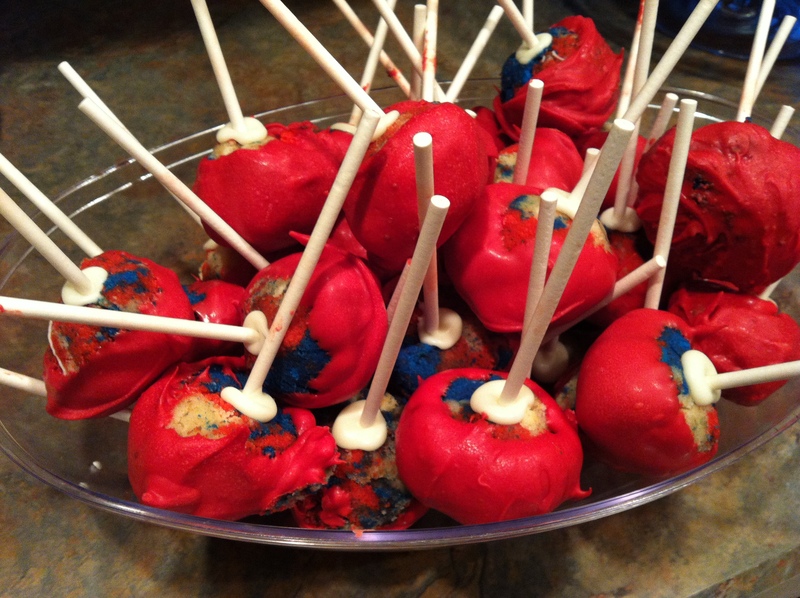 So with that in mind, I am not sure why I thought making cake pops would be any different than the cakes, cupcakes, or the cookies I’ve made in the past….tasty but not pretty! Each month at work we have a “staff training day” where we basically shut down so that we can focus strictly on meetings, staff development & training. As part of this, I like to treat my staff…whether it’s donuts, or bagels, pizza or my often requested “baked goods”. I wanted to bring something different that I hadn’t brought in yet so I decided to give Cake Pops a try. I asked friends their opinions on making them and did a lot of research and read a lot of tutorials. I came to the conclusion that they did seem like a lot of work but really didn’t seem too difficult. How hard is it to screw up making a little ball of cake on a stick? 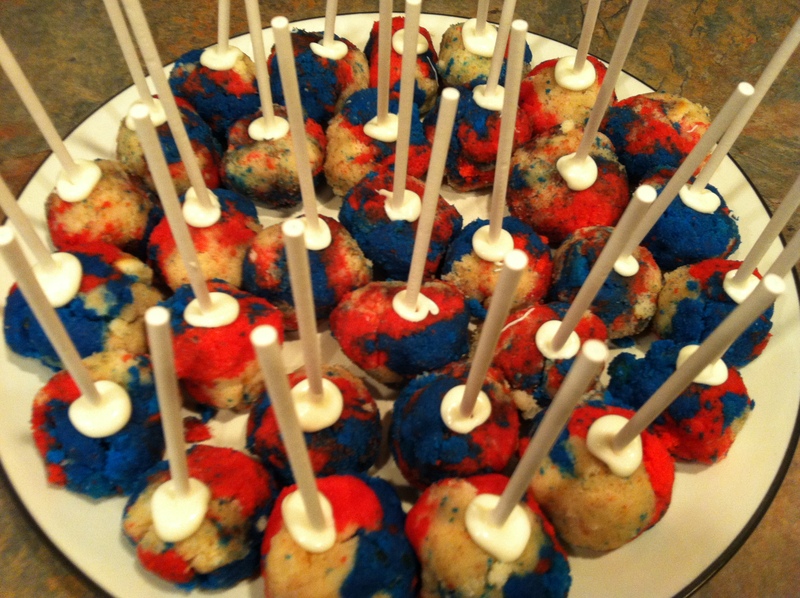 I saw this cute picture on pinterest which is how I totally envisioned my cake pops would turn out. Since the 4th of July was coming up I thought this would be a really nice presentation for my employees. 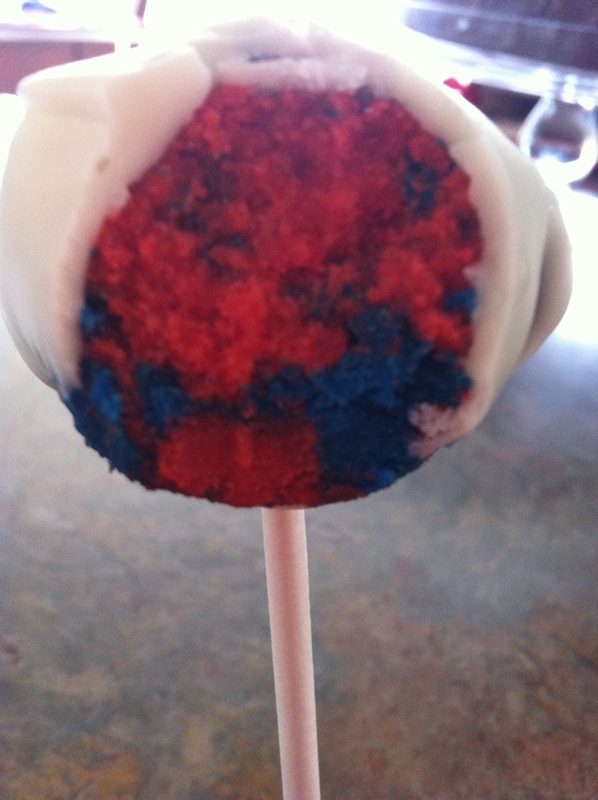 Then I really became ambitious when I decided I wanted the cake in my cake pops to be multi-colored! I was so pumped to make these awesome cake pops! I used my favorite white cake recipe and a basic buttercream and even making them “multi-colored” (red, white & blue for 4th of July) worked out nicely. I was moving along so well…thinking that I was right…a lot of work, maybe a little time consuming but overall not difficult. Adding the icing a little bit at a time to each color cake, they formed nicely into a “play-dough” consistency. I melted some chocolate and dipped the ends of the sticks in and then inserted the sticks into the cake balls. I put them in the freezer to just “firm up” and allow the chocolate on the stick to harden and become a binder for the cake to the stick. 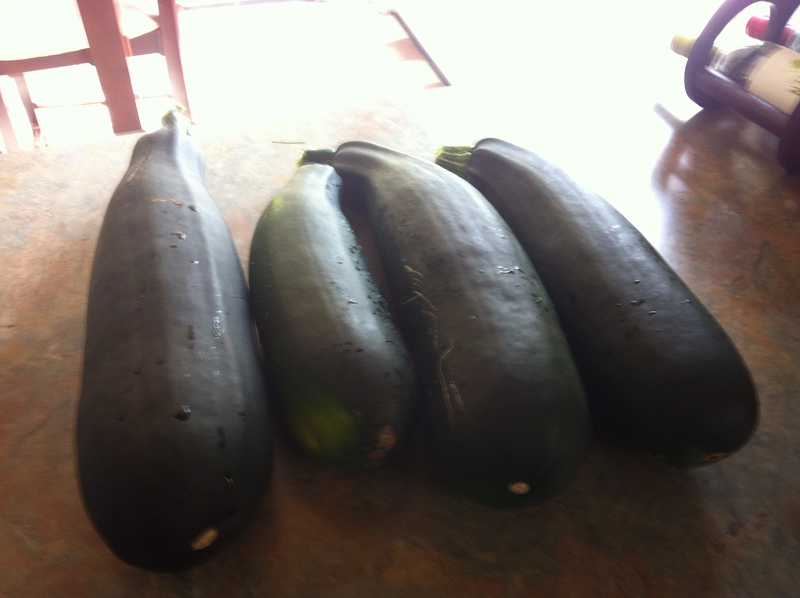 They were looking pretty good…. All that was left was dipping them into the chocolate. From what I’d read and the advice I’d received I knew this part would probably be the “hard” part of the process, but since I wasn’t doing anything too fancy I figured it wouldn’t be so bad. Frustrated, I continued on. I took the advice of a friend to add shortening (I felt like this was good solid advice because this suggestion was also on the package directions.) to the chocolate to help thin it out, as can happen when it is over heated. 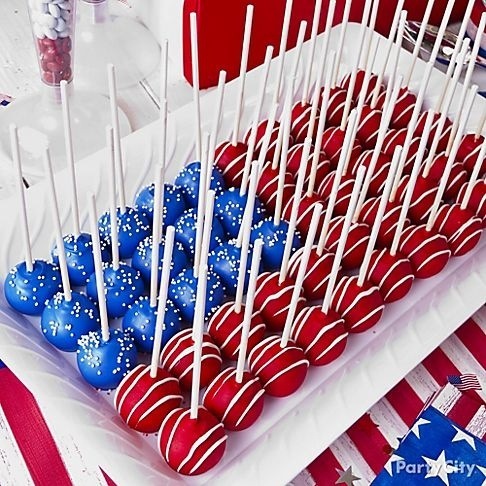 Although this did seem to help a little bit and when I started dipping the pops again, it did not completely destroy the cake pops, they looked nothing like I wanted them to! The chocolate was still too thick (which I now have learned was probably because my shortening was too old and really didn’t do much to help out the chocolate. Since making these the other day I saved a few to be dipped later after I had a chance to purchase a new jar of shortening and it was much easier…still not pretty but easier!). I was able to salvage about 30 pops that I was only partially embarrassed to serve my employees. Mostly everyone assured me they did not look that bad, but I’m pretty sure this was just because they were scared to tell the boss the truth. Only one of my employees (who is also a fairly good friend) was honest and said “wow, if you could decorate you could make so much money opening a bakery.” Thanks….I think!!! So what was the ultimate outcome of this cake pop saga? 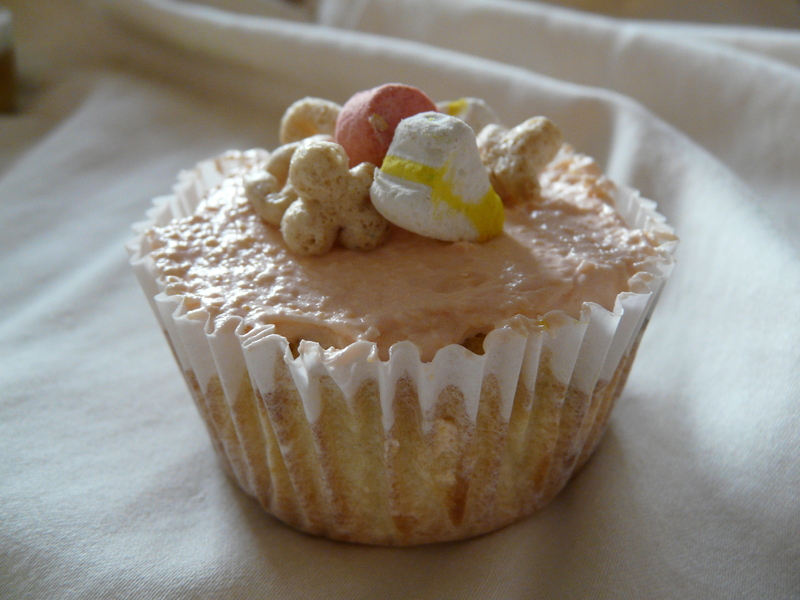 It was basically just the usual…nothing fancy from this baker! So even though they weren’t as pretty as I had planned, I am still sharing my recipe and the steps I went through to make them. Like I said these tasted great…and if you are better at decorating and working with chocolate than I am then you will definitely have success and will impress whoever you are making them for! The final question is: ”Would I make them again?” The answer: “Maybe”. Prepare the cake mix as directed. You can use a box mix, but I always prefer from scratch! Divide the cake mix evenly into three bowls. 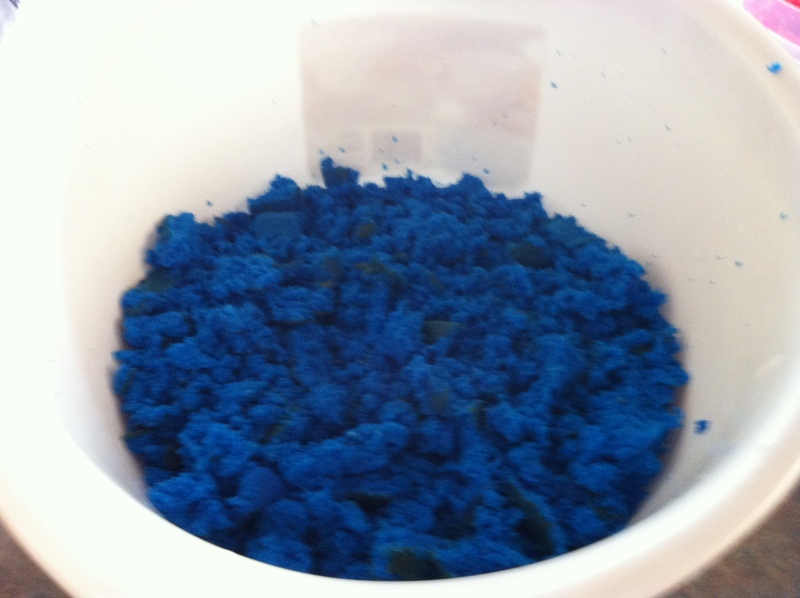 Add red food coloring (or Wilton Icing Colors) to one of the bowls and blue food coloring to another bowl, to desired color. Pour each bowl of cake mix into a separate pan or use a muffin pan. 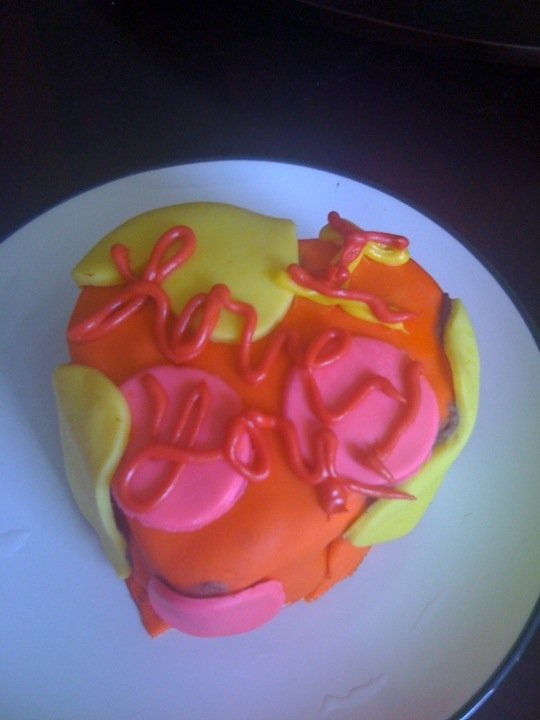 (Since you’ll be crumbling it up it doesn’t matter as long as it gets baked! :p) Bake as directed. Meanwhile prepare the icing (you can use store bought if you like) and set aside. Allow the cake to cool and once cool enough to handle crumble the cakes into three separate bowls (one for red, one for blue, one for white). Add about 2-3 tbsp. of icing into each bowl and mix with your hands. 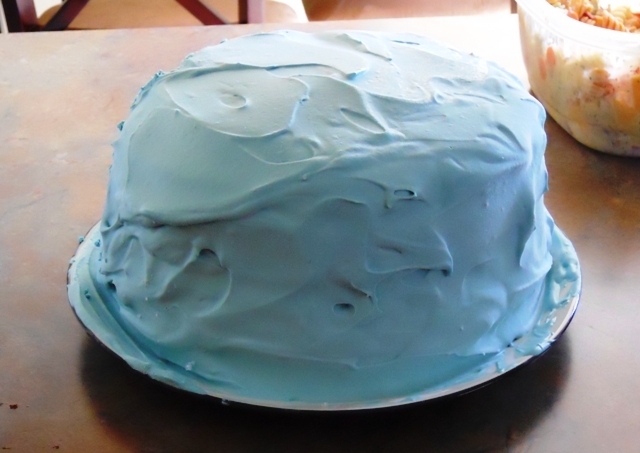 Continue to add icing a little bit at a time until the cake forms a large ball. You want the cake to be just moist like Play-dough. 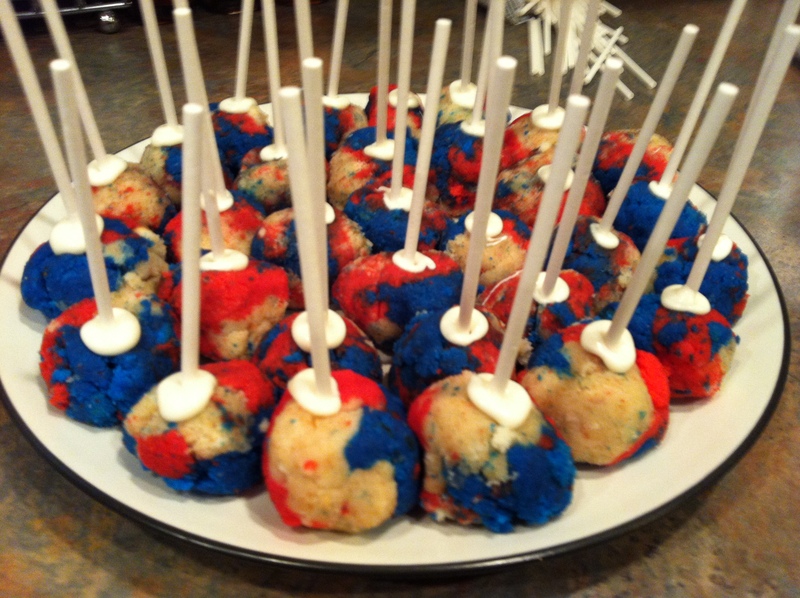 Next form the balls, take a little bit of each color cake and mold together into a round ball. Once all the balls have been formed place them in the refrigerator or freezer for about 10 minutes just to firm up. Melt a little bit of chocolate according to the directions on the package. This will be for the sticks. Dip the end of a lollipop stick in the melted chocolate and then insert it into the center of the cake pop about half way through. Be careful not to push the stick through to the other side. Return to refrigerator or freezer for another 10-15 minutes to allow chocolate to harden and cake balls to continue to firm up. Melt one bag of chocolate per the package directions. Add 1-2 tsp. 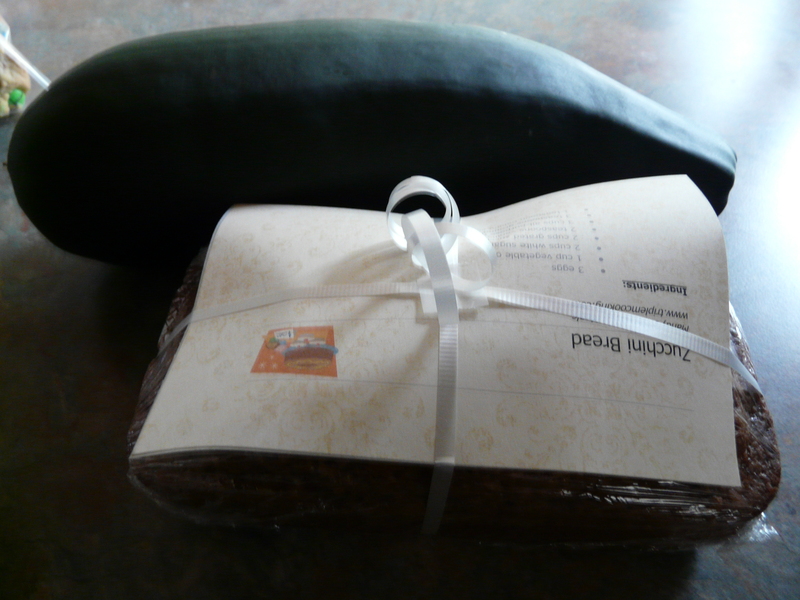 of vegetable shortening if chocolate is too thick. Make sure to melt the chocolate in a deep dish or glass so that the cake pop can be completely covered by the chocolate. At this step, you can decorate the pops however you choose with different color chocolates and adding sprinkles, etc. Dip the cake pops in the melted chocolate and insert into a piece of styrofoam to dry. Cake Pops will be ready to eat immediately or can be frozen for a later time. Every year for Hubby’s birthday I get him an ice cream cake. 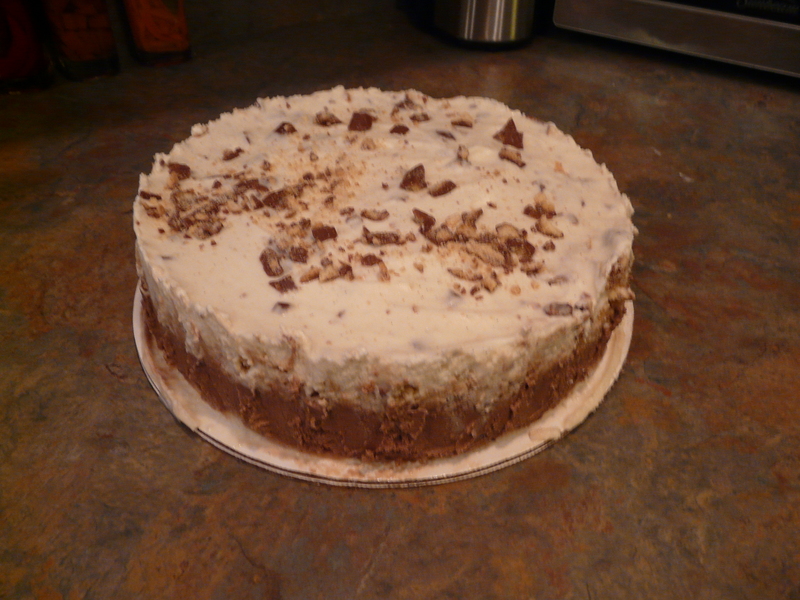 Since I bake cakes all the time it is a nice treat to have an ice cream cake. 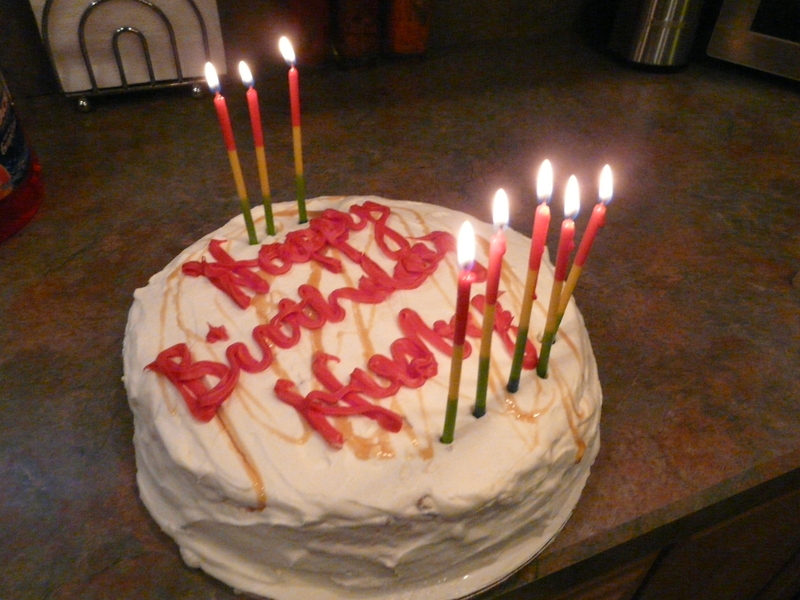 This year I decided to make my own ice cream cake for his birthday. I’ve made ice cream cakes before but never made them like the kind you get at the store or an ice cream shop with the crunchy middle. I always just used regular cake layered with ice cream. I must have gotten bit by a creativity bug because suddenly I had this great idea to make this a Twix ice cream cake (since Hubby likes Twix candy bars). So, I found this recipe on King Arthur Flour to make homemade Twix bars. 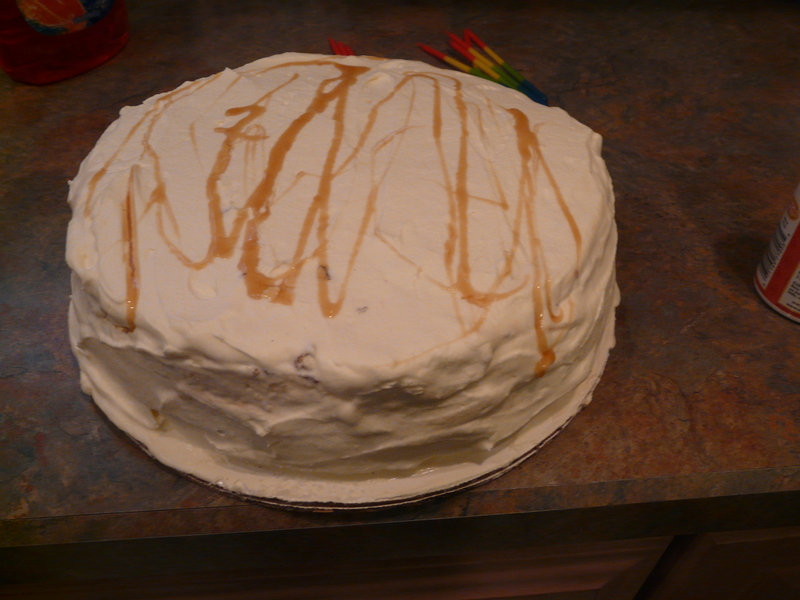 I only made the shortbread layer for the crumbly inside of the ice cream cake and mixed it with some caramel. I had intended to make my own caramel, but due to time constraints just ended up buying a jar of Smucker’s Caramel Topping. If you decide to make this for an event make sure you do it the day before or at least 8-9 hours in advance so the cake can freeze up completely. Like I said, I was on a limited time frame so not only did I have to work twice as fast to get everything set, but we weren’t actually able to cut the cake right when I presented it, because it would have been completely destroyed (Which was not a big deal since we had reservations for an all you can eat meat buffet…better known as “Na’Brasa Brazilian Steak House“). Despite being crunched for time, I actually remembered to grab the camera to take step-by-step photos! I only missed one or two pictures! Yay for me! 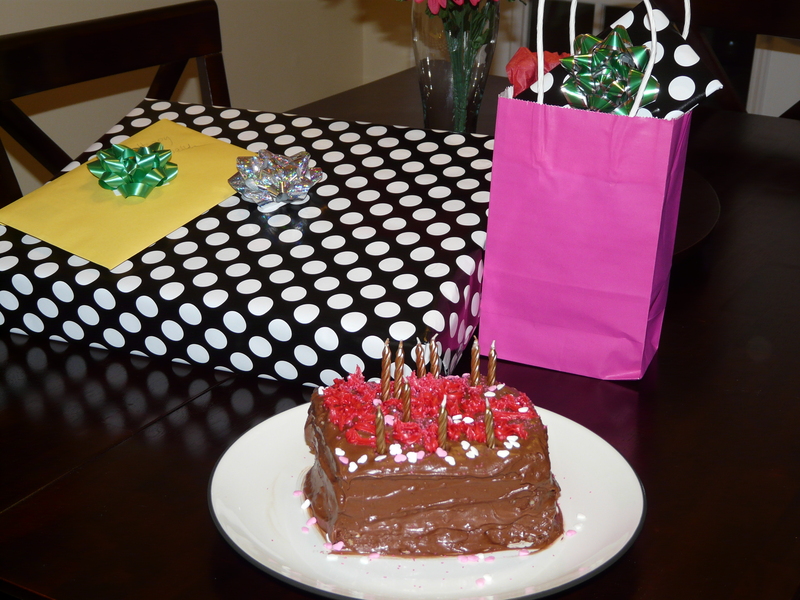 So without further ado, here is how I made this awesome birthday cake! Since I was ultimately going to end up crumbling this up, I didn’t bother putting it in the baking dish all nice and neat, as you can see. You can make the shortbread a few days in advance if you want. That way you won’t have to worry about even more time with cooling it down. 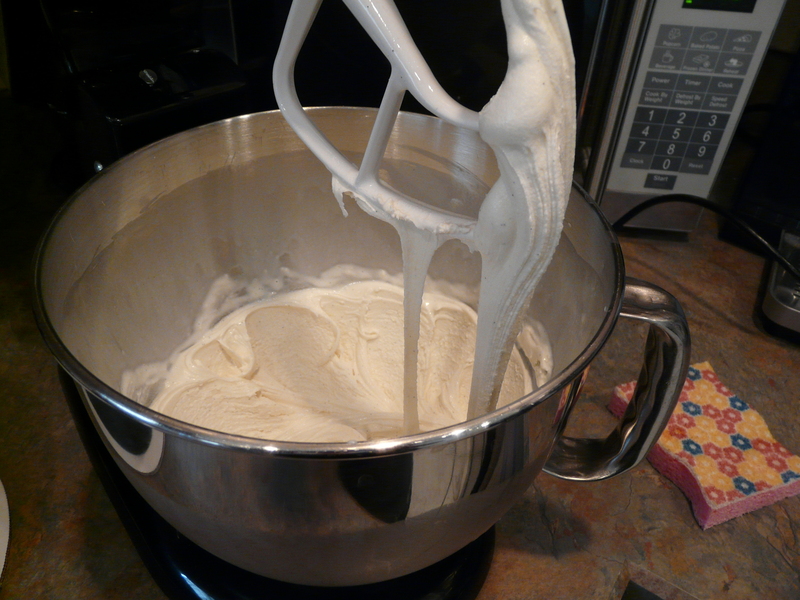 Whip the ice cream in a stand mixer. 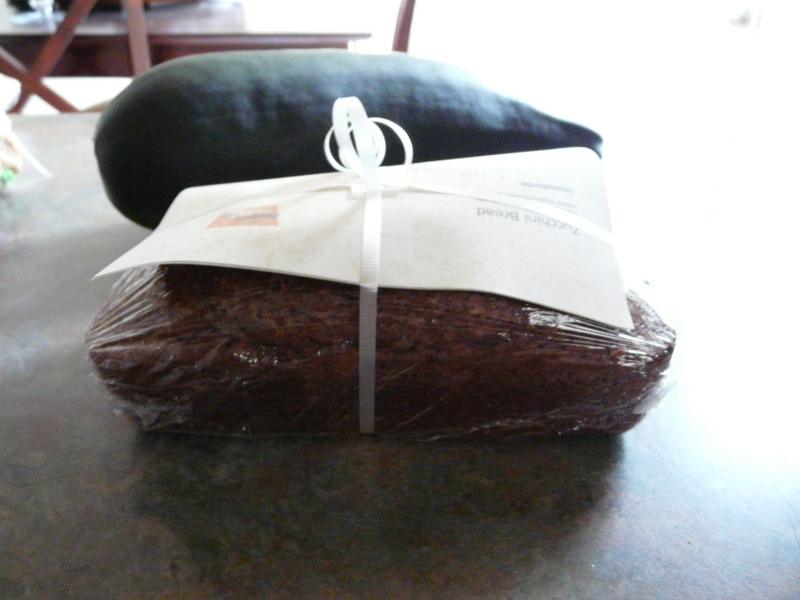 For the cake you will need 1-1.5 Qt. vanilla ice cream and 1-1.5 Qt. chocolate ice cream. A trick that I’ve learned from experience is to soften your ice cream by letting it sit out for about 10 minutes and then putting it in your stand mixer to mix up. It is much easier to work with than letting it just soften on its own. 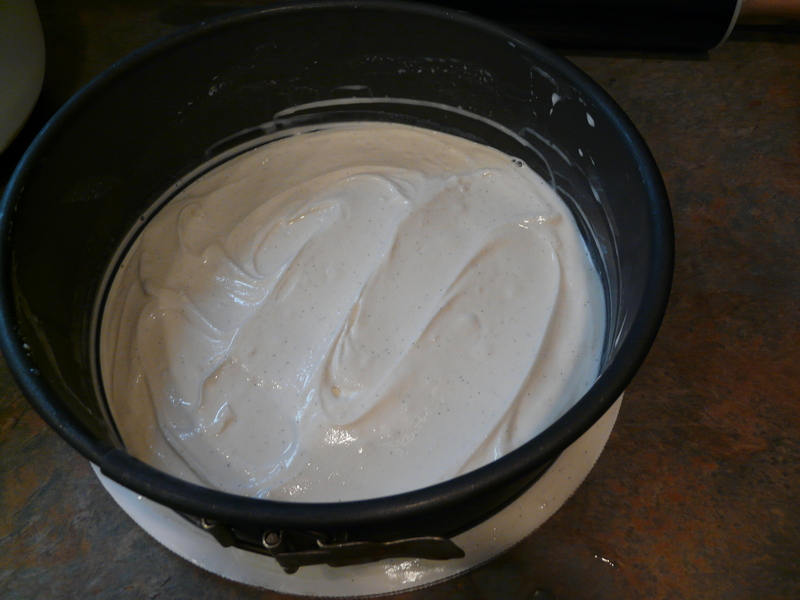 The first layer is half of the vanilla, so only mix half in the mixer and return the rest to the freezer. 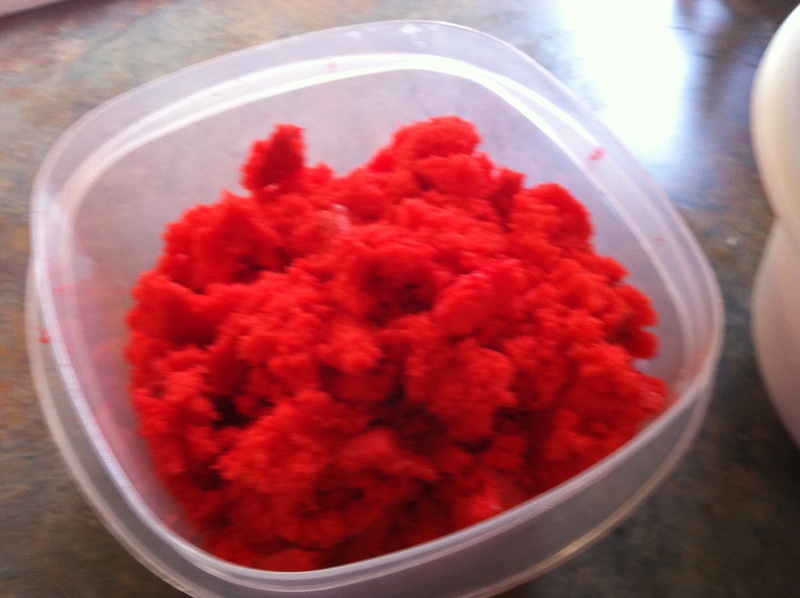 A WORD OF CAUTION….I do not recommend mixing the ice cream in your mixer if you do not have a heavy duty mixer. Although I’ve only done this with my Kitchenaid, I know that my old $30 middle-of-the-road stand mixer would not have been able to handle mixing the ice cream! Add the softened ice cream to the pan to make the first layer of the cake. To make the cake, use a springform pan with the bottom removed and two 10″ round cardboard cake circles placed on the bottom (sold in craft stores or wherever cake supplies/decorations are sold). Glue or tape the two cardboard circles together. This cake will be very heavy when finished so one circle probably won’t hold it! Prior to making the layers, place the Springform pan in the freezer for 20-30 minutes to make it cold. You will have to be very careful not to move the cardboard or the pan or the ice cream will get all over. If you want, you can use a little tape to keep the cardboard in place. Medical tape works best, as regular tape loses its stickiness after it gets cold. 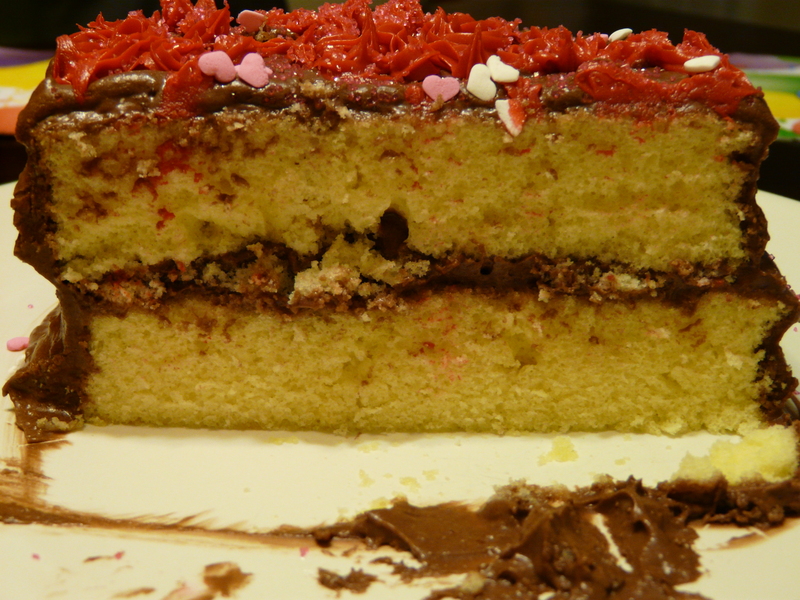 It is very important to put the cake back in the freezer after each layer…do not skip this part of the recipe or your flavors will run together and you’ll have a big old mess (I won’t mention how I know this, but I’m sure you can figure it out). Put the pan back in the freezer for about 20 minutes. Basically what I did was put it back in…set a timer for 10 minutes, take out the next ice cream that I was going to use (in this case chocolate) and allowed it to soften up for 10 minutes…then whipped it in the mixer….took out the pan from the freezer and added the next layer, putting it back in the freezer for 20 more minutes. 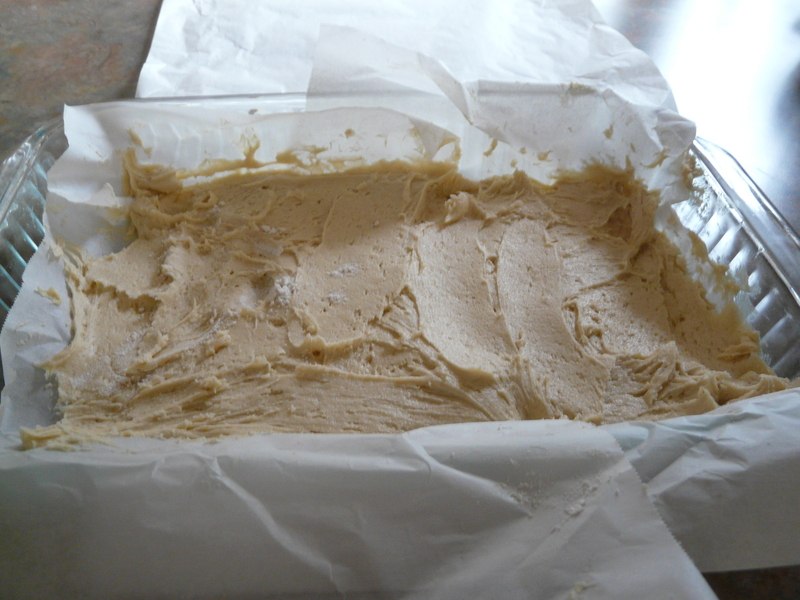 After you’ve completed the first two layers (1/2 the vanilla and all the chocolate) and the pan is back in the freezer to harden, prepare the shortbread layer by putting it in a large ziploc bag and crushing with a rolling pin. Add the crumbles to a bowl and add the caramel sauce 1/4 cup at a time mixing well between each addition until the crumbles are just moist. You do not want to add too much caramel. 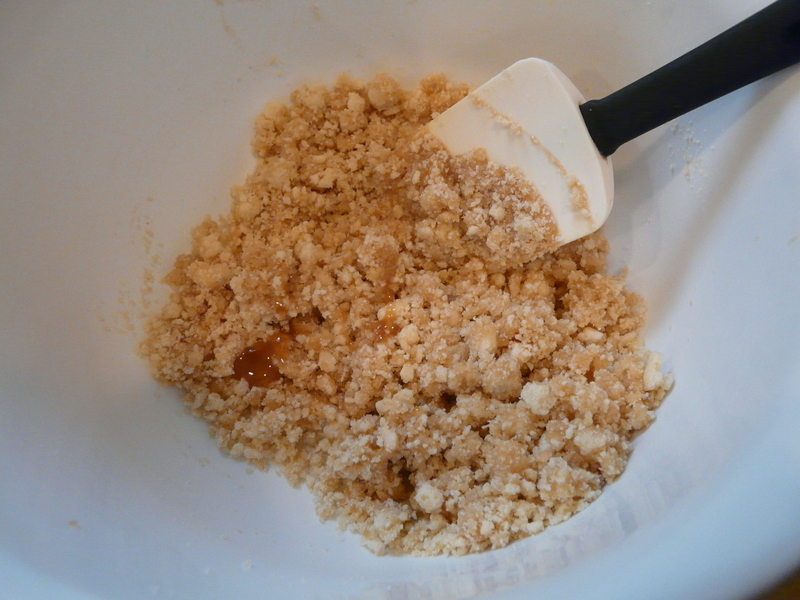 The crumbles should not be sticky or too wet. 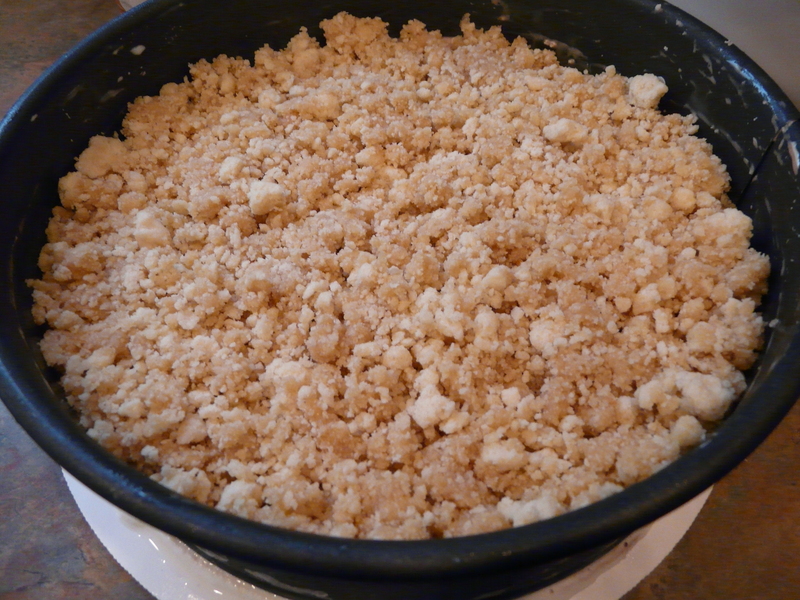 Add the shortbread/caramel crumble mixture to the pan. Add the shortbread/caramel mixture to the pan spreading out evenly over the ice cream. 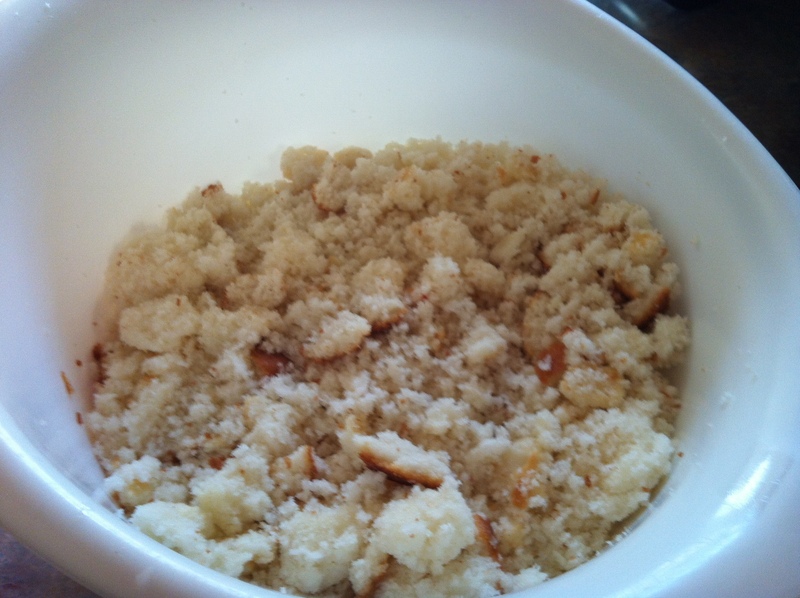 I did not use all the crumbles (only about 3/4) but it is totally up to you how thick you want the layer to be. I basically stopped adding the crumbles when I could no longer see any ice cream. Return the pan to the freezer for another 20 minutes (after 10 minutes remove the remaining vanilla ice cream from the freezer to soften). You will need to crush or chop the mini Twix bars. I put them in a ziploc baggie and just pounded them with the rolling pin, however the caramel remained as one solid piece so I ended up having to cut it up with a knife. Next time, I’m thinking I’ll throw it in the food processor. 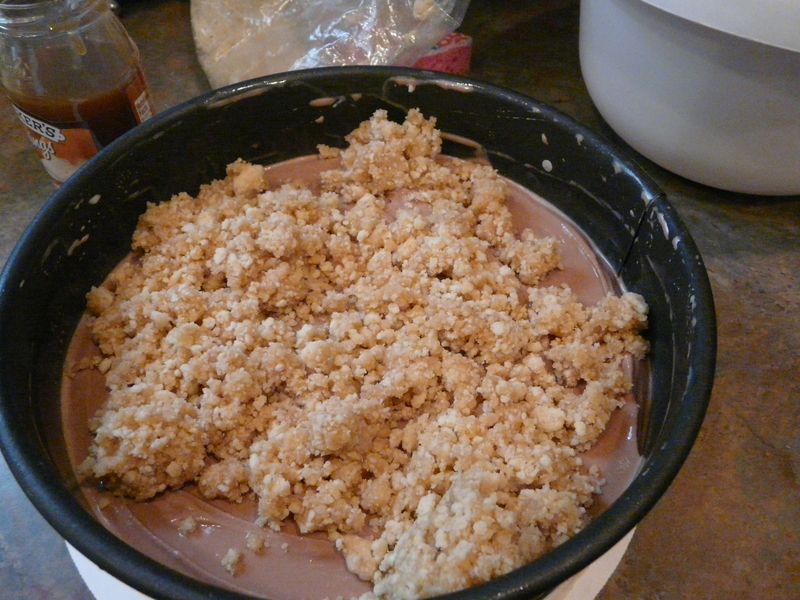 Once you whip the remaining ice cream in the mixer, stir in the crushed Twix (forgot to photograph these last few steps!) Remove the pan from the freezer and add the final layer. Once completed, return to the freezer for a minimum of 4-5 hours or longer if you can. The longer you can freeze it the easier it will be to remove the pan and add the icing. To remove, run a butter knife around the edge of the pan and then open the spring on the pan to release. Lift off carefully and you should have what’s pictured above! The whipped cream frosting can be added either right before serving or after the cake has frozen completely. 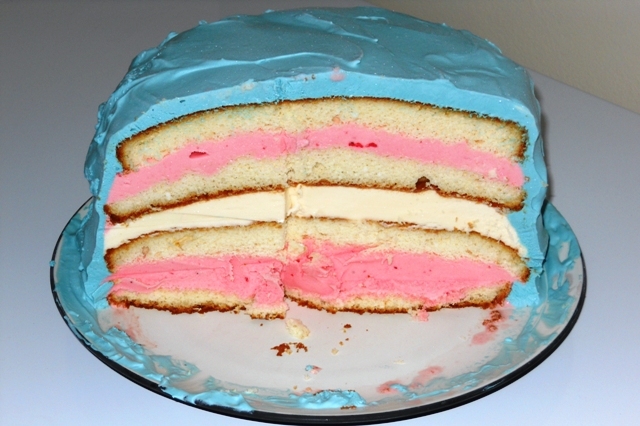 You can freeze the cake with the icing on it, but some people may not like it as much. I think it still tastes good so I just put it on right away. Finally finish the cake by drizzling caramel and chocolate over the top. Preheat oven to 300 degrees F. Spray a 9 x 13″ pan lightly with cooking spray and set aside. In a medium-sized bowl, beat together the butter, sugar and vanilla. Add the flour. 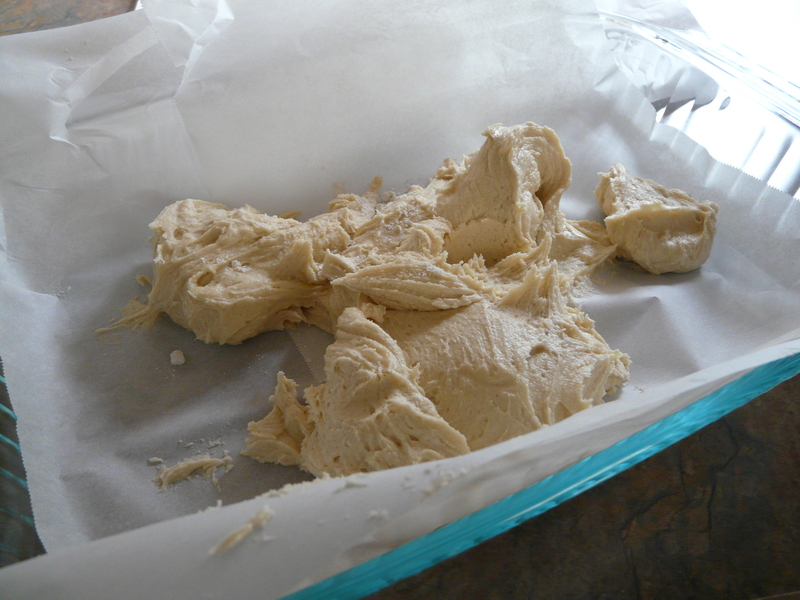 At first the mixture will seem dry, but will come together as you continue to beat at medium speed. Take the dough and press it evenly into the pan. Prick the crust all over with a fork to allow for more even baking. Bake the crust until it’s lightly golden brown on top and the edges are deeper golden brown, about 35-45 minutes. Remove from the oven and immediately run a knife around the edges to loosen the crust. Set it aside to cool completely. 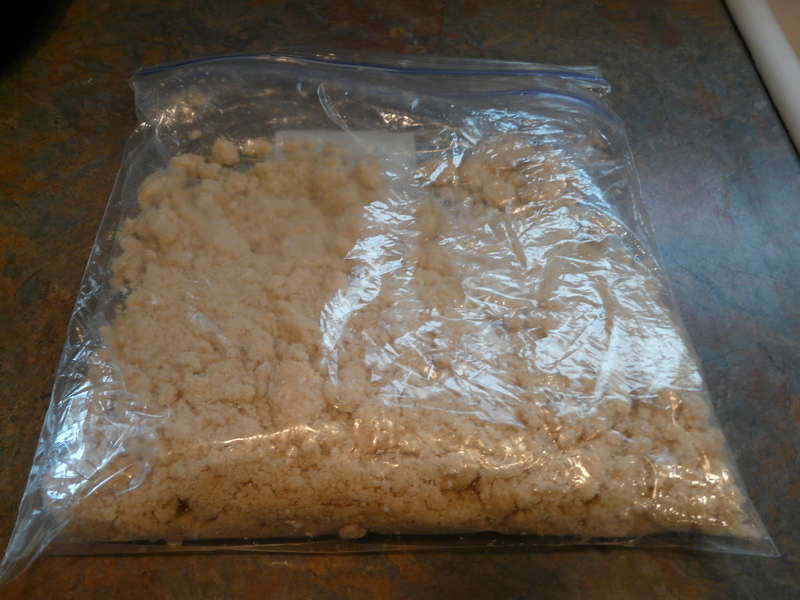 Once cooled, place in a large ziploc bag and crumble by gently hitting with a rolling pin or mallet. Keep aside until needed in recipe below. 10 “fun sized” mini Twix Bars, chopped. Remove the bottom from a springform pan and attach two 10″ cardboard cake circles to the bottom with medical tape. Place in the freezer for 20-30 minutes. Meanwhile, soften vanilla ice cream by sitting out at room temperature for about 10 minutes. Place half the vanilla in a mixing bowl and using ONLY a Heavy Duty Mixer, mix the ice cream at medium speed until it is just a little bit harder than soft serve ice cream. Remove the prepared pan from the freezer and spread the ice cream in the bottom. Place back in the freezer for 20 minutes. Repeat Step #2 with the chocolate ice cream, however use the entire container for the second layer. 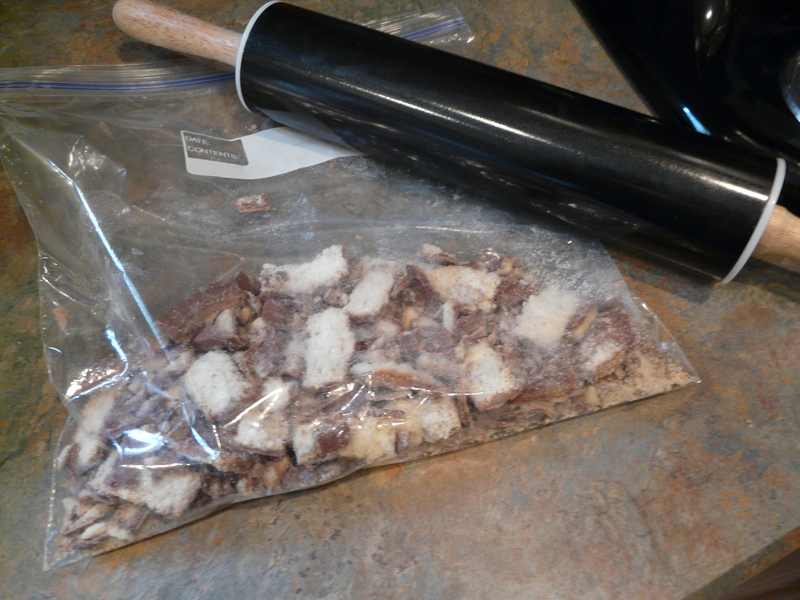 Prepare the shortbread by crushing with a rolling pin. 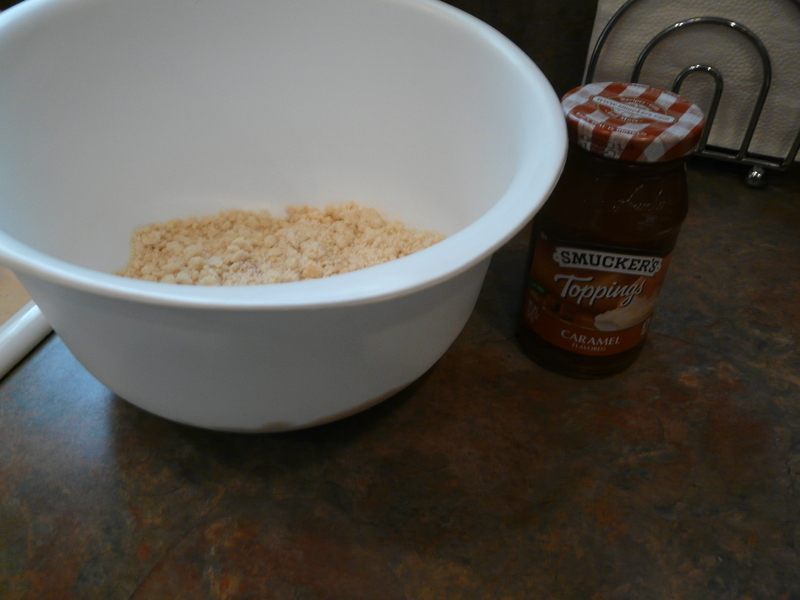 Place shortbread crumbles in a bowl and add caramel sauce 1/4 cup at a time, mixing well between each addition. You want the crumbles to be moist, but not sticky or wet. Return to freezer for another 20 minutes. Chop the mini twix bars and set aside. 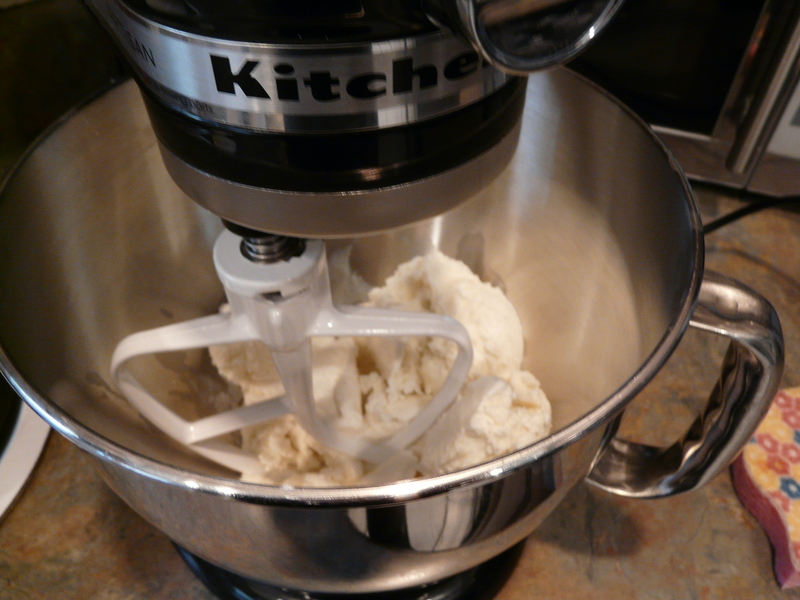 Mix the remaining vanilla ice cream in a Heavy Duty Mixer to almost “soft serve” consistency. Stir in the Twix pieces and place this on top of the cake as the last layer. Return to freezer for at least 5 hours. More is better. Once cake is pretty much frozen solid, remove the pan by sliding a knife around the edges then opening the spring on the pan and pulling off gently. Top the cake with Whipped Cream Frosting (recipe follows) and decorate as desired. Using the whisk attachment on your mixer, combine all ingredients and mix on medium speed for a few minutes until light and fluffy. Taste the whipped cream and add more sugar, if desired. (I added about 1/2 cup +2 tbsp. because I wanted a sweeter frosting). 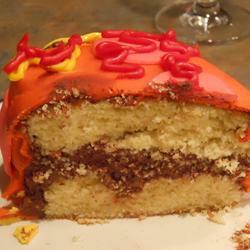 The Best Yellow Cake Ever…Seriously! You know what I hate? I hate when I come across a recipe that someone calls “The Best (insert food name here). In this instance, however, there is no other way to describe this cake. It is just that good!! The flavor is perfect, the texture is perfect…what more can I say? The key to this recipe, however is that you must not substitute anything. I have learned this from experience…when I first started out cooking and baking I didn’t really understand the difference between butter and margarine so I would use them interchangably….the cake was still good but using butter is very important. (On a side note…I always use butter for everything now. I can’t even remember the last time I bought margarine…it has to be a good couple of years!) 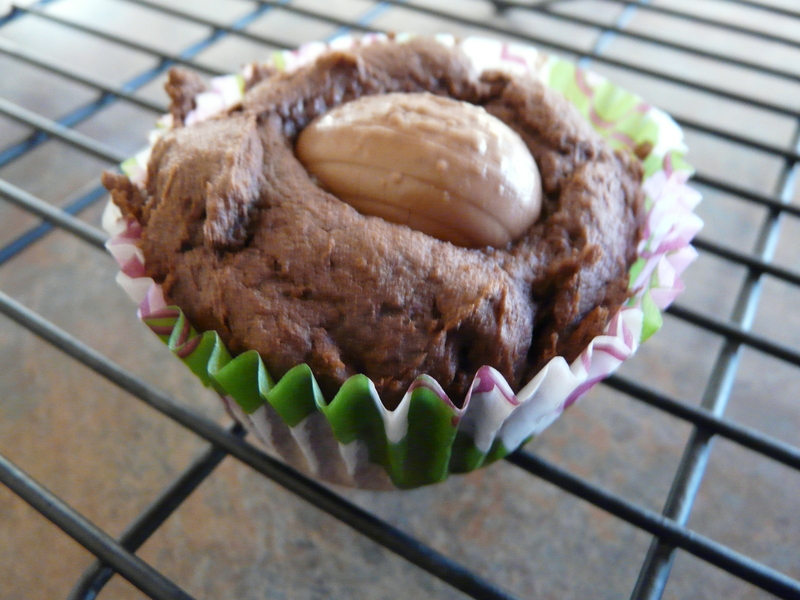 Another time I made this, I was out of cake flour so I did a quick search on how to substitute cake flour (2 tbsp. 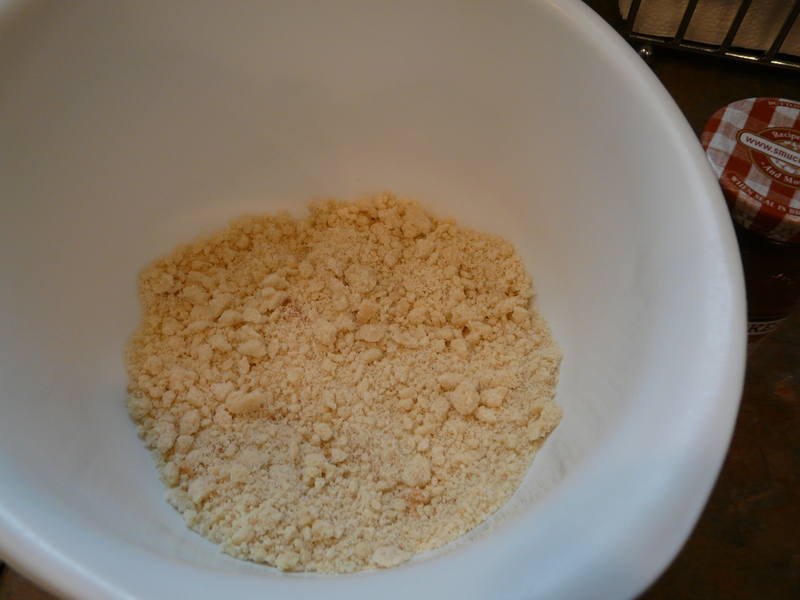 cornstarch and just under 1 cup of all purpose flour) and made it that way. Again, it was good, but nothing special and the texture was a little off as well. Now I only make this with the exact ingredients the recipe calls for and it comes out great every single time. Preheat oven to 350 degrees F. Grease and flour 2 – 9 inch round pans. 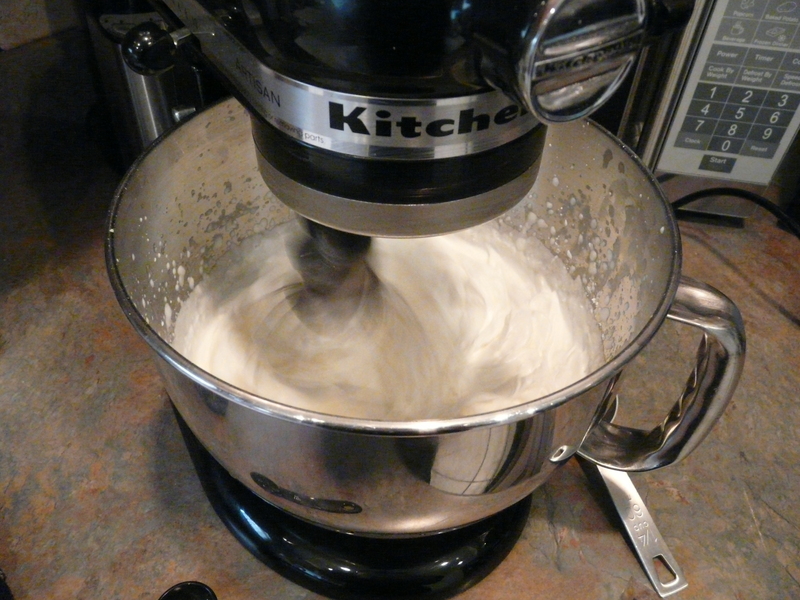 Using an electric mixer, cream together the butter and sugar until light and fluffy. Beat in the egg yolks one at a time, then stir in the vanilla. 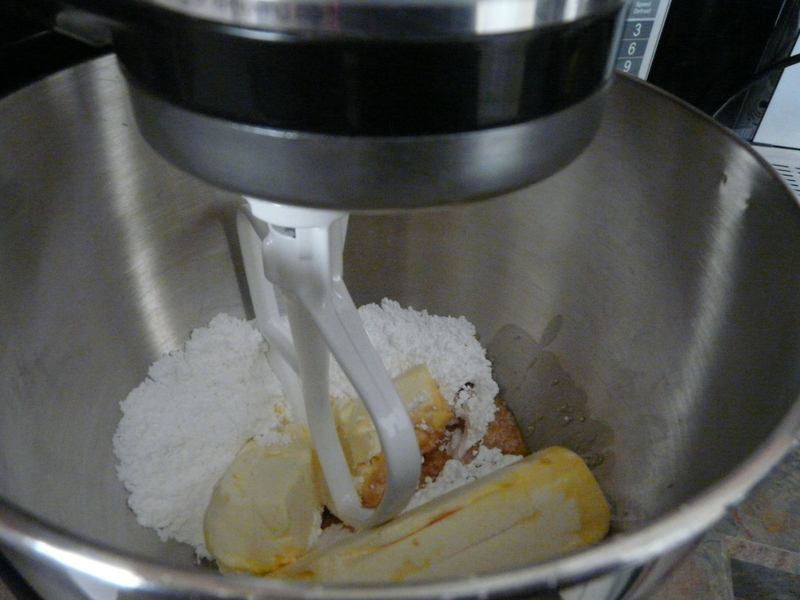 Beat in the flour mixture alternately with the milk, mixing just until incorporated. Pour batter into prepared pans. Bake in the preheated oven for 25 to 30 minutes, or until tops spring back when lightly tapped. Cool 15 minutes before turning out onto cooling racks.